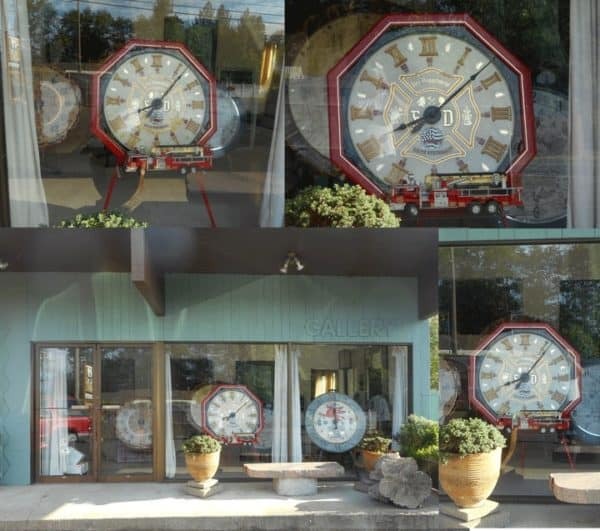 Dp Fire Department Clock "Ted"
Fire Department - upcycled clock. 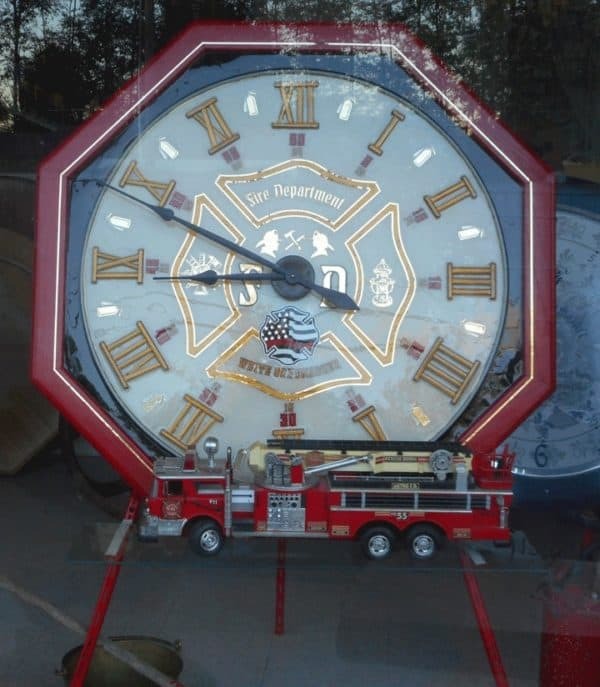 I did this clock to show my appreciation to the Fire department that saved my brother Ron's garage. The base of the clock is an old eight-sided oak table, the roman numerals are made from a bamboo place-mat. The easel is made from old shelf brackets, welded by Del Guns especially for the clock with a shelf bracket to hold the engine. The fire engine is a childhood toy.